The absence of superannuation benefits in the household sector and a dramatic rise in educational and healthcare expenses has aggravated the sector’s future uncertainties. Also the joint family system is declining. This gets particularly magnified when coupled with the predatory state’s tax impositions intended at funding its profligacy, which it implements both through the direct tax as well as the service tax route. The following is an excerpt from R Vaidyanathan’s forthcoming book, India Uninc, published by TataWestland). Our focus now turns to the nature and structure of savings by the household sector and its changing composition. Although we have stated this earlier, for the sake of reinforcement and recall, it needs to be pointed out once again that in the government data pertaining to national savings, partnership and proprietorship (P&P) firms, i.e., the unincorporated sector, are included under the household sector. The savings rate of our economy, that is gross domestic savings expressed as a percentage of gross domestic product at market prices, has gone up from 12 percent in the sixties to nearly 34 percent recently. More than 70 percent of these savings are from the household sector consisting of consuming households and mixed income households, namely partnership and proprietorship activities. We estimated earlier the share of the non-corporate sector to be more than 40 percent of the gross domestic savings [GDS]. The household sector savings consist of physical savings and financial savings. Net additions to the physical assets of the households comprising investment in fixed assets of construction and machinery and equipment and change in stocks, is taken to constitute households’ saving in physical assets. (NAS; Sources and Methods pp 226—2012). Savings in the form of financial assets, are (1) currency, (2) bank deposits, (3) shares and debentures, (4) small savings represented as net claims on the government by households, (5) life insurance funds and (6) provident and pension funds. 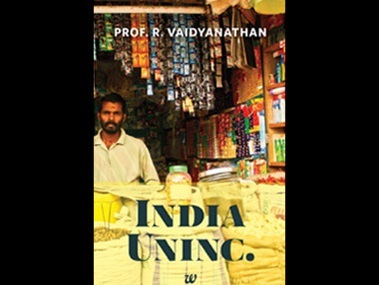 Prof. R. Vaidyanathan delves deep into India Uninc. and presents a persuasive case for why the latter is really what is at the heart of our economy, and why any growth story about India is incomplete if that real engine of our growth is ignored. We do not have any generalised social security system in our country. Actually, nearly 90 percent of our population is not covered by any social security system for their old age. This has been highlighted by the OASIS (Old Age Social and Income Security) Report of the Ministry of Social Justice and Empowerment in the year 2000. From this point of view, India is the only private market economy in the world, since the role of the state from the point of social security is negligible. Compare it to developed economies like the USA, Germany, Japan, etc., where old age pension is provided by the state to all its citizens and, in fact, is currently being reformed through a noisy social and political debate. In our context, individuals have to depend on their own savings and or joint family support in old age. Hence, there is a dire necessity for families to save in the context of increasing life expectancy and the decline in the joint family system. Not only that, the family has to save for the education of the children, which is very expensive. What is really important is that educational expenses are, in a perverse way, inversely related to the level of education, like kindergarten (KG) being more expensive than post-graduation (PG) in government institutions. Banks do not provide loans for school education but provide for IITs/IIM education. It is like giving loans for constructing the second and third floor of a building but not for the foundation. Indian women are obsessed with the education of their children and would like to put them in the best private schools, which mean expensive ones. Every Indian woman wants her children to be better than her husband in life! May be she thinks husbands cannot be improved anymore and so takes it on him by making kids better than him! Then, there are the expenses for their healthcare needs (which is more expensive than in UK), for their birth/marriage/death expenses which are part of the samskaras of an average Indian. Where do the savings of households go? The government appropriates a large portion of the savings of the households. 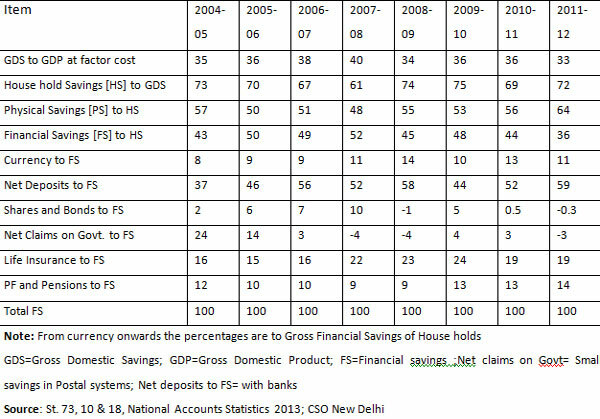 Table 1 below provides the components of household savings from 2004-05 to 2011-12. We find that the physical savings, mainly houses etc, constitute more than 50 percent of household savings. It also reveals that capital formation in the household sector can easily be undertaken by the savings of that sector and that it provides a substantial amount of its savings to the government and the private corporate sector. In the year 2011-12, deposits with banks (59 percent), life insurance (20 percent) and provident funds (14 percent) constituted the bulk of finance savings. Small savings in postal offices, called Net claims on government, have declined from around 25 percent in 2004-05 to -3 percent due to reduction in tax benefits. In spite of all the reports and discussions about the stock market being the barometer of the economy, less than one percent (of financial savings) was invested through stocks and bonds in 2010-11 and it is negative in 2011-12. To cap it all, the government has been a very inefficient user (of household savings), which provides on the average a return which is not capable of even covering the inflation rate. In other words, households are earning a negative or marginally positive rate of return which is supposed to help them in educating their children, taking care of health benefits, old age expenses, etc. This grabbing of savings by households by the state is an old ‘Socialist’ paradigm which assumes that the state knows best, which, in our context, is laughable but for its tragic undertones. Actually, in the absence of any social security cover, the government should not be taxing the non-government, non-corporate employees/proprietors at all. It should also have given full tax credit for education and health expenses plus other ceremonies like birth/marriage and death since these are part of our cultural roots and civilisational ethos. But the cosmopolitan elite, which decide taxes and allocation of savings, may not even know about the samskaras or the cultural traditions of commoners. Other than the taxes by the state, the ever-present corruption also takes away a substantial portion of earnings of households. The community is alienated from the state and looks upon it as a nuisance factor that collects taxes and bribes. The flow of funds accounts prepared by the Reserve Bank of India (RBI August 2000) in a time series fashion for 1951-1952 to 1995-1996 reveals that the household sector is a major source of funds for the activities of both the government and the private corporate sector in the last two decades. A large part of the savings also goes to the private corporate sector through the banking and insurance channels owned by the government. Actually, the bank nationalisation of the late sixties facilitated the process. Now, the private corporate sector wants to inflict a double whammy on households by trying to make them part of a ‘consumerist culture’. The slogan of the Western economy is ‘Shop till you drop’ which is also the motto in the malls of Dubai or at Changi airport of Singapore. The growth is stimulated by consumer spending and the offtake by Wal-Mart shoppers is eagerly monitored in the USA as an indicator of growth. Buy and buy more is the slogan of the day, with ’shopaholics’ being feted and dined. The major equaliser in the Indian situation between the haves and the others is education, which has become very expensive in the last two decades. Education of two children and health care benefits for the family could take away nearly a quarter of the aggregate life earnings and samskaras take away another 25 percent. What is left is used for current consumption. We are talking of 90 percent of the households, namely those of the non-corporate sector, who are not part of the government or private corporate sector, and who have not heard exquisite words like ‘perquisites and reimbursements’. All savings done by households for education is to enhance the ‘equaliser’ quotient on an inter- generational basis. It is based on the attitude of — let my child be in a better profession/earn more than I do. Hence, any attempt to lure people to ‘Shop till you drop’ will aggravate social tensions, and it is imperative we stress the traditional virtues of frugality and thrift to safeguard the social cohesion and welfare of families in the future. We need to urgently look beyond the hackneyed nineteenth century dogmas of ‘socialism’ and the ‘market will solve all’ mantra and evolve mechanisms to make our communities solve the problems of education and health using their own phenomenal savings. This needs a closer examination of the tax system, capital formation, credit delivery mechanisms and the level playing field for the P &P sector, which we will attempt to do later in this book. not really a revamped version in the massively popular peer-to-peer website will likely be as successful becasue it is predecessor. The free Lyrics Search app is accessible at the Android Market.